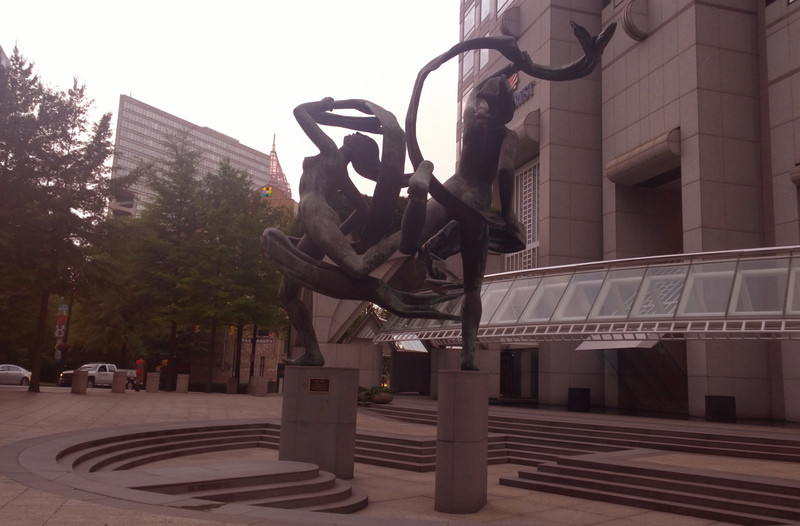 I took a walk through downtown Atlanta late afternoon of 3 July and snapped some photos of this massive sculpture in SunTrust Plaza at the corner of Baker and Peachtree Streets. 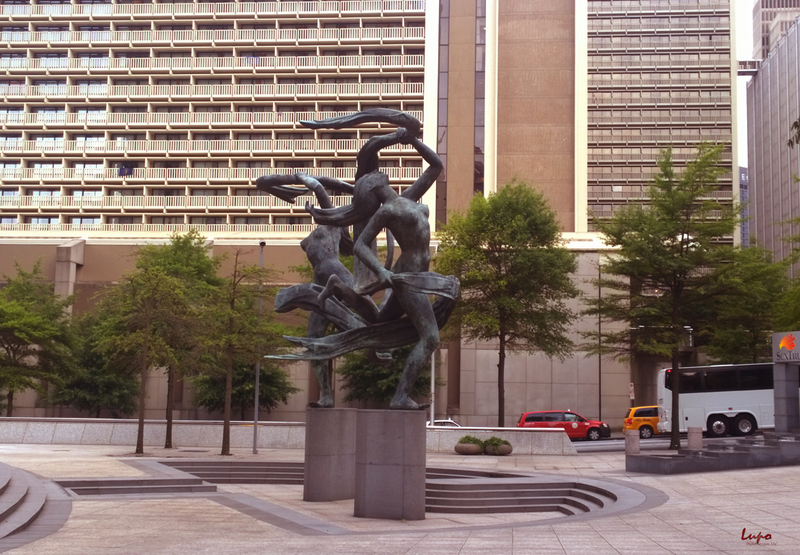 I’ve noticed it before while downtown, usually while walking from Peachtree Center MARTA Station to Baker to pick up the PATH trail to Stone Mountain. 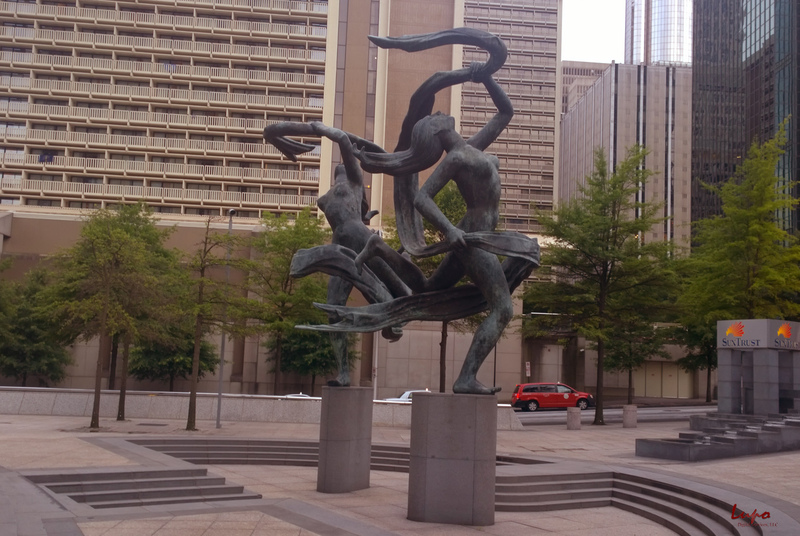 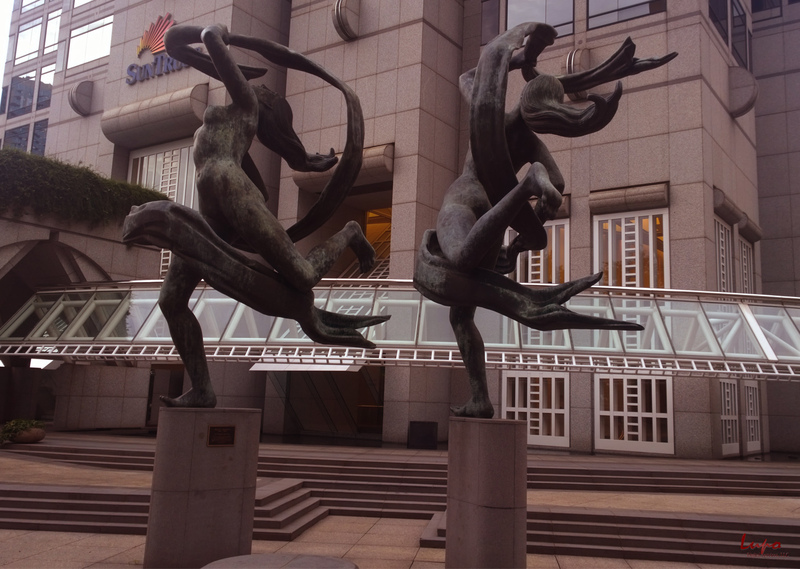 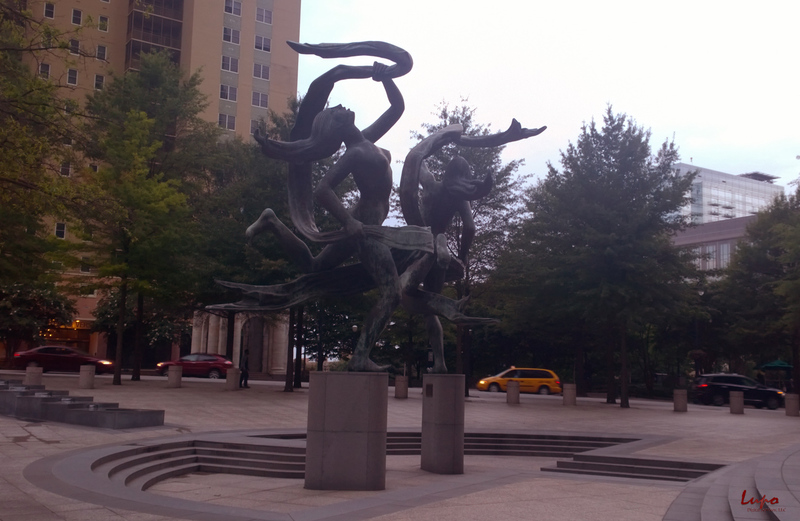 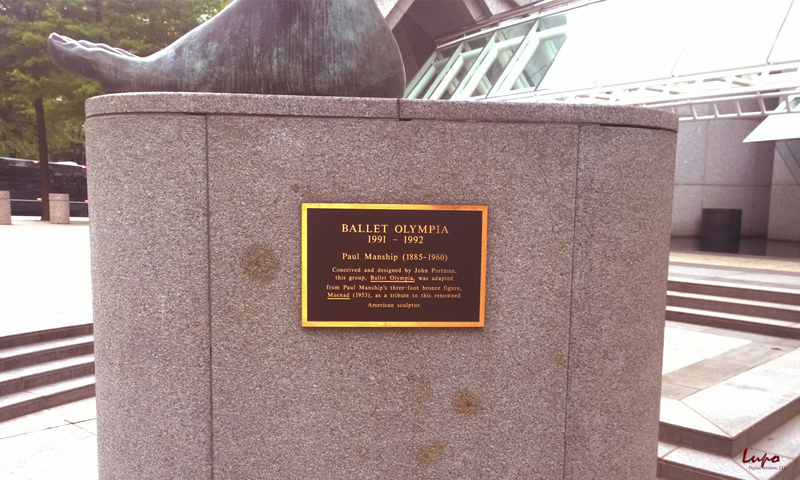 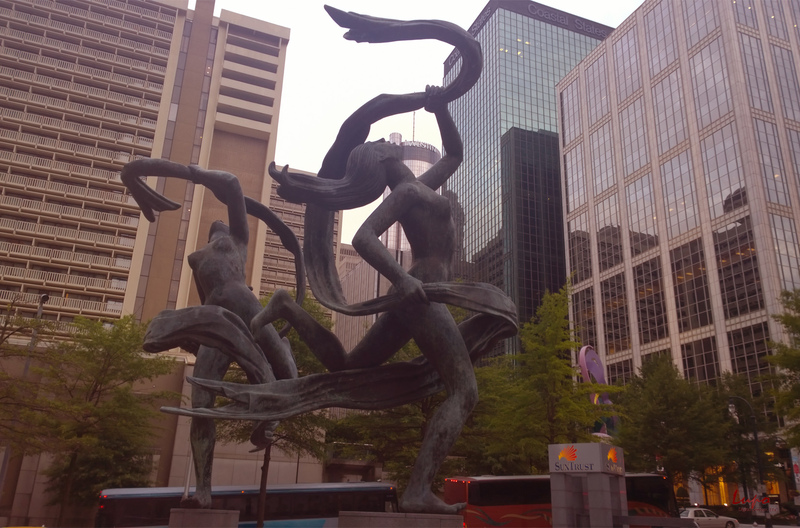 The plaque states it was designed by architect John Portman and based on a smaller sculpture by Paul Manship entitled Maenad.